Sam Wang was born in China and grew up in Hong Kong. He received an MFA in photography from the University of Iowa in 1966 and taught photography, “art with computer,” till retirement as Alumni Distinguished Professor of Art in 2006. 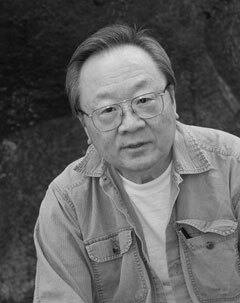 His book, Sam Wang - Four Decades of Photographic Explorations was published by the Jiangsu Arts Publishing in China in spring of 2010. He received the Elizabeth Verner /Governor's award for his contributions to the arts in South Carolina in 2012. Sam’s work has been collected and exhibited in major museums in the US and in China. I am most interested in the expansion of our understanding of the world through observation, so photography became the perfect vehicle. As a do-it-yourselfer, that has led to designing and making my own cameras as well as using digital alongside non-traditional processes. The round images were made by one such camera to take in the entire image field of a wide-angle lens. As the newcomer to the Collective and to Ossabaw, I am privileged to visit this gem of an island, am proud to be invited and have really enjoyed experiencing Ossabaw alongside this group of dedicated artists.